Sophie Simmons hails from one of rock and roll’s biggest families, but she’s establishing her own name as a performer. She’s the featured vocalist and co-writer on the single “Home” from Yellow Claw‘s new EP Los Amsterdam, which you can listen to in the media player, and is also working on her original music. Whether she’s breaking through in the pop world or making a difference in the lives of children, Sophie is taking major strides in 2017 and should be on fans’ radar now and in the future. AXS conducted a phone interview with her recently to talk about what she has in store, and the cause close to her heart. AXS: Your father Gene Simmons is one of the biggest names in rock and roll. But was it your family that inspired your love of music, or was it something that you came to separately? Sophie Simmons: I would say I was really exposed to music because of my family, because of their love for music, but I started songwriting when I was like four years old. I wrote my first song and it was called “I Love To Jump Rope.” From then on, I’ve just been writing songs and keeping them to myself. Then about two years ago I got a music manager who was like, you know, your songs are actually really good. You should be reaching out to people and putting these co-writing sessions and actually pursuing this. We did. 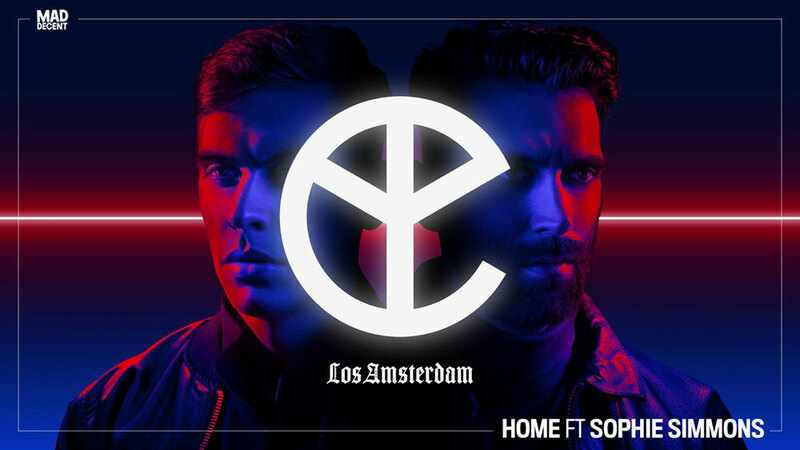 Luckily there’s people out there that love my songs like Yellow Claw, who I co-wrote “Home” with. It’s now on their new album. AXS: What fans may not know is music is only a portion of what you do. You’ve been an actress, host, reality TV personality, and model – so with all of those career opportunities, what motivated you to add pursuing professional music to the list? SS: it’s always been a real passion of mine. for along time when I was younger, I didn’t think that passion equals career. I thought they were just something that you did on the side of your actual career. I realized I could make it my job and also love what I do every day, so it was kind of a no-brainer. AXS: In addition to being featured on Yellow Claw’s EP you’re working on your own EP. What can we say about your upcoming release? SS: What’s special about it is all of the songs are from stories in my life. The female narrative in all of my songs is never the narrative of a victim. I try to always have the storyteller, the voice in the song, have a strong self-confidence. Even if you’re doubting a decision you make or anything, I try to, in my songs, put a confident spin on it so that there’s not more storytelling out there of women having to depend on other people and being insecure. AXS: How would you describe your creative process in the studio? SS: For sure I need coffee. (laughs) Because I just feel like, in the studio especially, it’s always dark in there and I’m always getting into nap zone. We’re always on couches in really dark studios for hours and hours and hours, and you lose track of time. So coffee is a must for me in the studio. In terms of process, it’s different with anyone I write with. Sometimes I get in with DJs, and they’re very excited about a track and they just want a top line, so we’ll just write a story to go along with the atmosphere that they’ve built within that track. Other times producers are like “I’m here for whatever you want to do,” and I’ll play something on piano or sing something to them and we build a song that way. AXS: What’s the ideal first impression you want to make with this EP? SS: If anyone at all reaches out and says “I connected with a song that you wrote”, that would be worth it for me. It’s not so much about getting it on the radio, or making it trend on Spotify. That’s a secondary goal, it would just be a plus. But to have someone reach out and say “This song really spoke to me and I identified with it, this is my life,” [that] would be the goal. I think that’s why a lot of us make music, is so that people out there can realize they’re not the only ones going through something. We try and capture a moment in life in our songs to the best of our ability. AXS: When you begin to tour in support of the release, are there venues that are on your wish list? SS: I think every musician loves the festival circuit because you get to hang out all together with your fellow artists, and it’s kind of like summer camp, for musicians. That’s always a fun goal to do the Bonaroos, or Coachella or any of those. I think playing somewhere in Los Angeles would be really special for me because I did a lot of growing up here. To play the Fonda Theatre or something like that, something iconic in L.A. would be amazing. AXS: You also have your own charitable organization that’s doing important things for children in Vancouver. Can we talk about your charitable endeavors? SS: I have a children’s charity called Sophie’s Place and it’s in Vancouver, British Columbia. It’s a center for abused children. I started Sophie’s Place when I was 18. and we help kids that have been mentally, physically, or sexually abused. We help with the after affects of it, the counseling, the legal proceedings. What makes Sophie’s Place special is kids aren’t shuttled around to a million different locations to have to tell their story. They can just come to us and we have a built-in office in our building for each of the counselors, lawyers, or officers that would need to be there, so the kids don’t need to run around in these scary adult places to tell what’s happened to them. Los Amsterdam is now available for download on iTunes. You can also find Sophie Simmons’ back catalog of music here, and more about all of the charitable causes she supports on her official website. For more on Sophie Simmons, follow her on Twitter and Facebook.